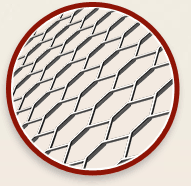 Interested in learning more about E-Z Gutter Guard Protection Systems? Feel free to contact a member of Lakeside Gutter Products staff. This micro-mesh powder-coated aluminum screen is great for extreme environments and coastal applications that can cause some competitive products to corrode, and keeps out even the smallest debris. Designed with three 90º “steps” at the front for greater strength, this guard snaps into gutter hem, helping to force water to track into the gutter, while reducing the effects of water-streaks and tiger-striping across the gutter. The newly designed center beads also add strength, while helping keep water from surface tensioning across the screen. The angled back edge holds tight by locking into hidden gutter hangers. E-Z to Install: Locks into the gutter — snaps in and out for easy cleaning. 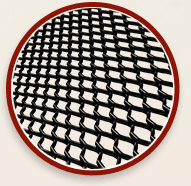 Size: E-Z-Micro Mesh comes in 4 foot lengths and 5″ or 6″ widths. Our entry-level mill-finish aluminum screen has a solid front edge that is micro-crimped for a strong product that will not come apart. It works well in light debris loads. E-Z to Install: Screws to the front of the gutter and slides under first row of shingles — a more permanent method. Size: E-Z-Drop In comes in 4 foot lengths and 5″ or 6″ widths.